The internet seems to have been buzzing a lot about Estonia in the last year, and a lot of it is due to the innovative new e-residency program that was launched in a limited form in December 2014, and has been rolling out additions and improvements ever since. Yet, there has been a certain degree of confusion of what the e-residency is and isn’t, and what you can and cannot do as an e-resident of this progressive Baltic country. Instead of relying on press releases, shallow news articles or random speculation from internet-commenters, I have gone through the process of obtaining an e-residency as well as actually traveling to Estonia to go through the process of opening a bank account as an e-resident and learn more about the program first-hand. 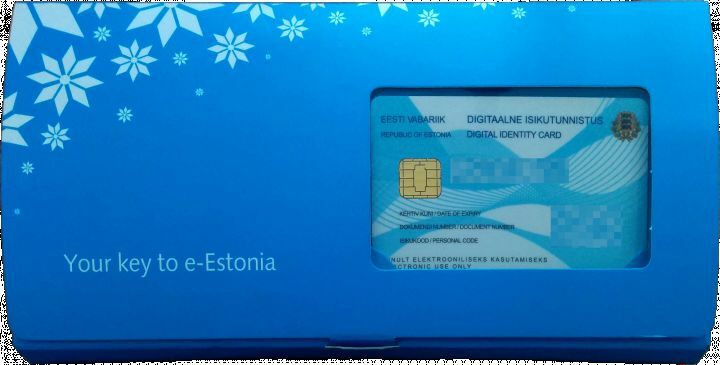 In this extensive article I go into detail of why you might or might not want an Estonian e-residency, how it can make it really convenient to bank and run a business in Estonia, some basic tax implications, and lastly, explaining the process of obtaining e-residency. I will not go through the actual process of opening a business—I’ll save that for another article. Although registering and managing a business in Estonia is quite straightforward, using a service provider like LeapIN to deal with regulations, accounting, and a mandatory business address is affordable and well worth it. If you use the code nomad when registering for LeapIN’s service, you’ll get a 100 EUR credit towards your membership fees. But first of all, there are a lot of misconceptions surrounding the e-residency. Let’s just get a few of the glaringly obvious ones out of the way right now. IT IS NOT an actual residency. It does not give you any rights to stay in Estonia, the EU or the Schengen zone whatsoever. Nor any other social rights in Estonia or anywhere else. IT IS NOT a way to avoid paying tax in your actual country of residence. IT IS NOT a citizenship, and you will never receive any consular support from the Estonian government for holding an e-residency. Currently, it’s an electronic form of identification allowing you to log into online services in Estonia such as government portals and online banks. To some degree, the card can also be used around Europe, and this is bound to increase. You can also use it to legally sign documents electronically within the EU and increasingly also elsewhere. 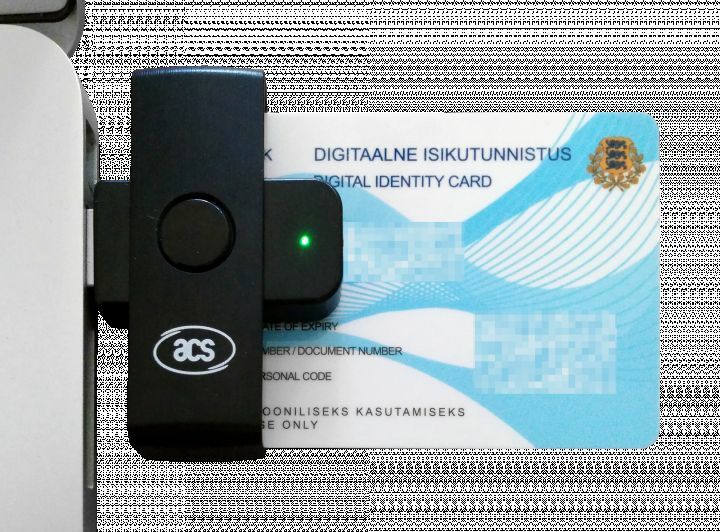 Basically, it’s a digital identity card accepted by many banks and the Estonian government. By 2018 it will be accepted as online identification in all EU countries. So why would you need an e-residency then? Well, most people wouldn’t. But it can be very useful if you want to either bank or run a business in Estonia. Or if the e-residency just resonates ideologically with you and you want to show your support. That’s a completely valid reason too. If you just get on a plane to Tallinn, walk into a bank branch and expect them to open an account for you without any fuss, you are bound to be disappointed. The e-residency does not give you a right to open an account with any bank in Estonia. You read that right. As long as you are not an actual legal resident of Estonia, no bank has any obligation to open an account for you whatsoever. Due to fairly strict Anti-Money Laundering (AML) rules, it is unlikely that you will be able to open an account if you can not demonstrate a strong connection to Estonia. Basically, you need to demonstrate why you want to bank in Estonia, and most of the reasons listed above will not cut it. In short, unless you’re part of the lucky sperm club or have strong investment or business ties with Estonia, it will be a bit more challenging to open a bank account, no matter if you’re an e-resident or not. Luckily there are ways for the rest of us. I went to Estonia last month to explore options. Through this boots on the ground-approach I learned a whole lot, which I will share in the next few paragraphs. Currently, there are only three banks in Estonia that support the e-residency card for logging in and managing your account. I’m sure this number will grow over time. But to be honest, the banks that currently support it is likely the banks you would want to bank with anyway. 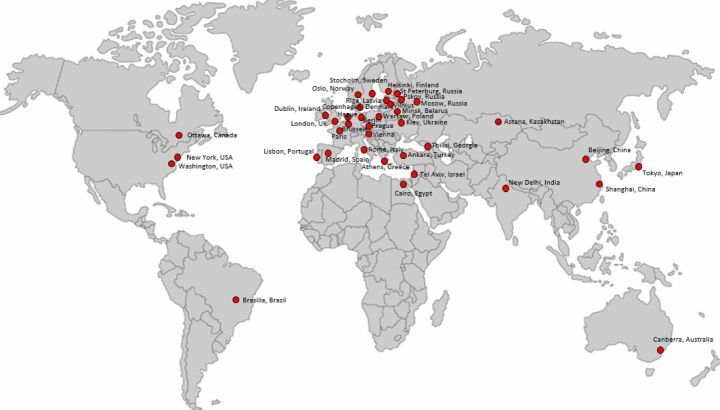 Both SEB and Swedbank are fairly large, world-class, Swedish banks with large-scale operations in Estonia. LHV is a mid-sized, modern Estonian bank with roots as an investment firm. LHV is actually the bank used by Transferwise for all their SEPA transactions in Euros. SEB and Swedbank both have branches scattered throughout the country, while LHV only has to two branches in total, one in Tallinn and one in Tartu. While that might seem like a disadvantage at first, I actually perceive it as a big plus. First of all, it gives them a lower overhead which results in cheaper banking for you. Unlike the two Swedish banks, they do not charge clients from outside the EEA/EU a few hundred euros for the privilege of opening an account. They are also used to dealing with their customers remotely, even their Estonian ones. If you want to manage your bank relationship 100% remotely, the latter point is a big plus. As long as you’re an e-resident, you only ever have to step foot in an LHV branch once. Even if you want to open a business account at a later date, as long as you are already a customer you can handle everything electronically from anywhere in the world. The only caveat is that if you want a debit card with your account, you might have to come back to pick that up a week or so after the account opening has been approved. In my case, I did not have any need for yet another debit card denominated in EUR, especially since I already have the fantastic debit card from Number26 in Germany (which surprisingly is accessible to most people if you know what you’re doing). If you require a debit card and don’t have the time to stick around in Tallinn, I would recommend that you contact LHV up-front to see if it’s possible to have the card ready for you pick up when you come in to verify your ID. Still, the biggest plus with LHV and the definite deciding factor for me for which bank to open an account with was that they allowed me to open one. With SEB and Swedbank, if you do not meet any of the criteria listed above (or potentially deposit a huge amount of money), they will not open an account for you. If you have already managed to register a business in Estonia, at least Swedbank and maybe even SEB will consider opening an account for the business (but not necessarily for you). LHV, on the other hand, accepted one more reason for opening an account in addition to the above list. Critically it’s a reason anyone can give. It does not require having any prior ties to Estonia at all, nor does it require any huge investments of time or money. It might have something to do with their history as an investment firm, and the fact that they offer some great investment options. Or maybe they are just a little bit more flexible than the two giants, because that is what it takes to succeed as a smaller player? I’m not sure, but at the end of the day, it doesn’t really matter. Businesses registered in Estonia are by default considered to be tax resident in Estonia. If you are running the business from a different country where you are personally tax resident, please consult the relevant tax treaties and talk to a tax professional to see if the company might be considered resident in your home country instead. The tax burden in Estonia is far from the highest, but also not quite a tax haven either. The tax code is generally straightforward, with 20% flat tax on most stuff. That includes 20% income tax, 20% corporate tax on distributed profits (meaning 0% on undistributed profits, see below), and 20% VAT. Note that there are social taxes totaling around 35% for employees and directors that perform their services within Estonia. As far as I have understood the social taxes will not apply to someone living outside of Estonia and not performing any actual work within Estonia. Overall an average tax burden, so if low tax is all you care about there are better options. If you care about cash-flow, easy day-to-day remote management in English and a generally business-friendly environment, Estonia might be for you. How does Estonia’s 0% tax on undistributed profits actually work? Estonia’s tax system is quite unique due to one small quirk that makes it especially attractive to growing businesses that reinvest profits into further growing the company: The 20% corporate tax is only paid on distributed profits. So as long as profits are reinvested rather than being distributed to shareholders through dividends, no corporate tax is owed. You still need to pay the tax whenever the company actually do decide to distribute profits, however. To be clear, when profits eventually are distributed as dividends, the 20% tax is paid by the company not the person receiving the dividends. In most cases, the receiving person (legal or natural) needs to pay dividend or income tax according to taxation rules in its relevant country of residence. The individual resident in Germany pays the German 25% tax rate on capital gains on the remaining €8,000 (also €2,000). The individual ends up with €6,000 after tax. However, if the person receiving the dividend is a resident nowhere or resident in a country with territorial taxation (e.g., Panama), in many cases, no other tax than the 20% Estonian corporate tax will need to be paid. To read up more on the tax situation for legal and natural persons in Estonia, check out PwC’s excellent tax summary. The whole process can be done in about a month, without having ever to visit Estonia. The application process is online, and the card will be sent to an Estonian embassy near you where you can pick it up. Go to the e-residency website and fill out the application. You will need a scanned copy of your passport and a passport photo, as well as a Visa or MasterCard to complete the payment. You will also select which embassy or consulate the card should be shipped to or if you want to pick it up in Estonia. You should receive an email about two weeks later with the result of your application. It may take longer if they have a lot of applications to process. If your application is approved, you can expect your e-residency card to arrive at your specified embassy or consulate around 2 weeks later. This may also vary a bit depending on location. You will be notified via email and asked to set up an appointment to pick up the e-residency card within their opening hours. At the embassy, you will need to show your ID document (typically your passport), sign a couple of forms and be fingerprinted. Important: If you want to use your e-residency card right away, you should ask the staff at the consulate or embassy to report back to the Police and Border Guard Board that you have picked up the card as soon as possible. Ask them when you can expect the card to be activated. If you forget to do this and your card isn’t functioning properly, see the troubleshooting section below. Congratulations, you are now an Estonian e-resident! The welcome pack you collect at your nearest embassy or consulate. It contains your e-residency card and a small, foldable USB card reader. After collecting your welcome pack at the embassy, you are probably anxious to start using your new e-residency card. To start using your card, unfold the card reader and insert the e-resident card into the reader (chip first). Do not connect the card reader to your computer just yet. Download the ID card driver software from the installation site and run the installer. Also, install the ID-card utility and DigiDoc client from the same page. After installing the software, make sure the ID-card utility and DigiDoc client are closed. Insert the card reader with the ID card into your computer. Verify that the ID card is working correctly by going to this site. You will be asked for a PIN code, which is the PIN1 listed in your welcome pack. As long as the OCSP certificate is valid (LDAP might be non-existent, but that’s okay), you’re good to go. Your digital ID card is working as it should. You can now head over to eesti.ee to log in to the Government E-services. If you encounter any issues doing so, try restarting your browser and computer. If it still does not work, have a quick look at the troubleshooting section below. 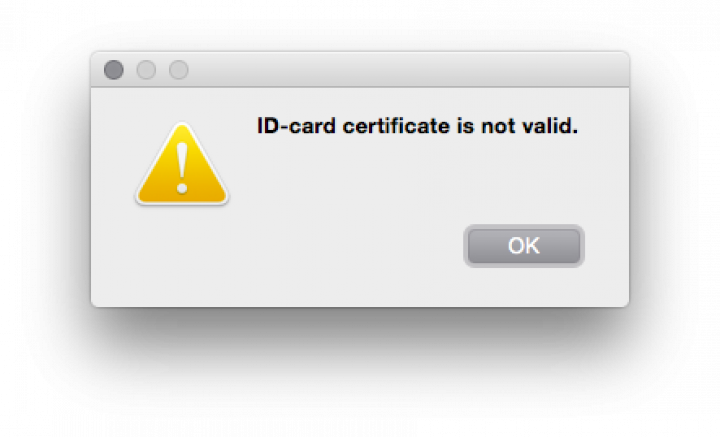 If you get one of the errors shown in the screenshots above, your certificate might not have been activated yet. That can typically be the case if you recently picked up the ID card and the embassy or consulate have not yet reported back to the Police and Border Guard Board that you have picked up your card. Don’t worry, your card should be activated soon. But if you want to speed up the process, send an email to ppa@politsei.ee and tell them that your card has not yet been activated. Even though you might encounter this error when performing the check on this site, it doesn’t actually mean that anything is wrong. Note that the first line (OCSP certificate) is valid. If the test site returns the first certificate (OCSP) as valid and the second (LDAP) as non-existent, that’s actually okay. According to the Police and Border Guard Board, this is just a limitation of the e-residency card for the time being. As long as you are able to log on to eesti.ee (the State Portal), your card is functioning as it should. Do you have any questions about the Estonian e-residency that I wasn’t able to answer in the article? Please send them to me! I will try my best to answer all your questions and post the answers here as well, so more people can benefit from them. Please note: I am not a lawyer and nothing in this article is to be considered as legal advice. It is simply a best effort representation of the information I have gathered through countless hours of online and offline research into the subject.